We recently visited the Taj again, and this time went for the set menu. The samosa's disappeared before I had a chance to take a photo, the pastry casing was the best I'd ever had, fresh, slightly crumbly and not at all soggy, the filling was great too. 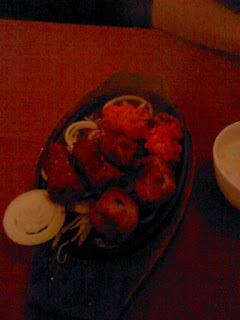 The chicken tikka and seekh kebabs were accompanied by bonus tandori mushrooms. Some of the chicken was a little gristley but this didn't ruin things. 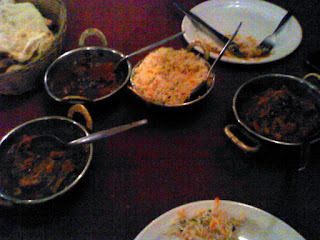 The mains included a lamb rogan josh and a chicken shahi korma, they were nicely spiced and none was too oily. normally find in this dish. 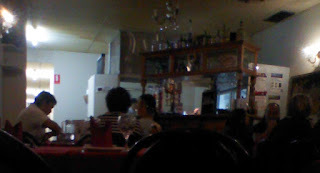 As always the naan's were great. We just about managed to fit in the passion fruit ice cream.